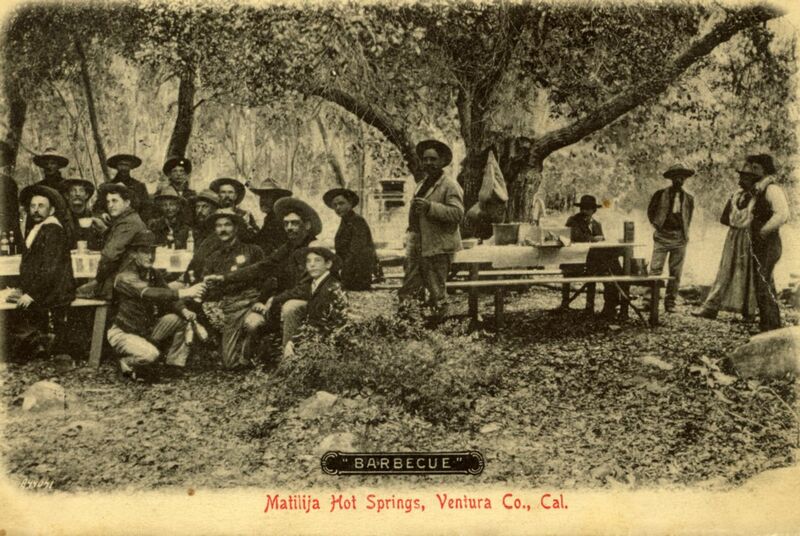 This is the annual gathering of the U.S. Forest Rangers, Santa Barbara Forest Reserve, at Matilija Hot Springs. Most of the rangers had districts in remote areas. Supervisor Willis M. Slosson held these gatherings once/year so that they could get together and exchange ideas.